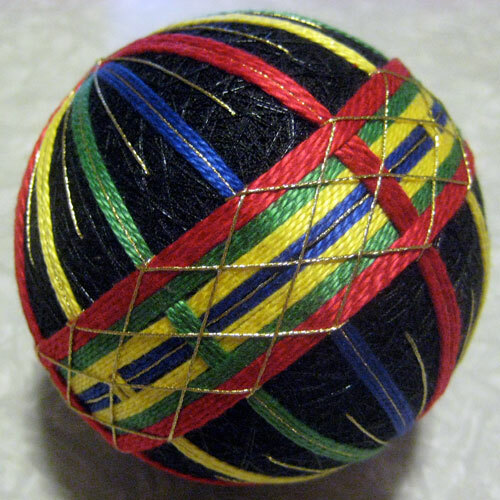 The "Striped Obi" pattern from Barbara Suess' Japanese Temari book. The "obi" is the band around the equator, and comes from the term for the sash around the waist of a traditional kimono. 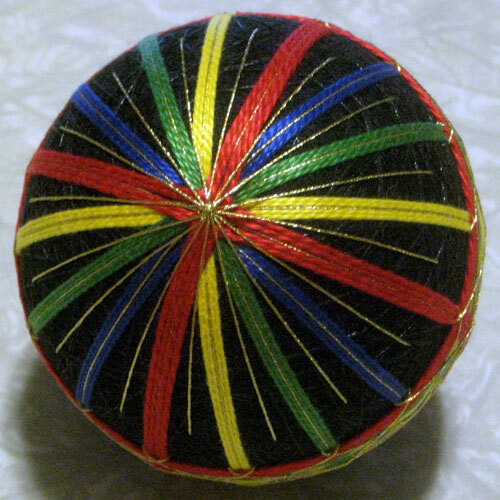 This was my largest temari to this point, at about 3.5" in diameter. (Most of the others are less than 3".) Completed August 2009 for Arlie and Beth but most of all Annie, who loves Voltron, which explains the color choices.